Cigarettes are known to have an adverse effect on various parts of the body, and skin is no exception. Ever look at people around your age and wonder why smokers tend to look older, while everyone else tends to look around the same age? Smokers’ skin can have a certain texture and appearance that outwardly shows the extent of their habit. One of the often undermentioned advantages of smoking cessation is that the skin environment can also improve as well, helping smokers look more their own age after quitting. This time we will discuss about the relationship between cigarettes and skin and how skin condition changes after quitting smoking. So why does tobacco cause damage to the skin in the first place? 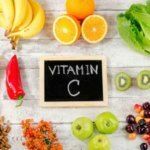 Although there are a variety of reasons, two immediate and key ones boil down to a lack of vitamin C and to a decreased amount of blood flow/active oxygen in the body. First of all, vitamin C is said to be an indispensable vitamin to maintain beautiful skin. In addition, since vitamin C is not produced in the body, it must be taken in from food such as vegetables and fruits. Smoking actually will destroy the vitamin C necessary for skin – the habit can reduce up to 40% the body’s supply of the vitamin. It’s said that smokers can be in a state of chronic vitamin C deficiency as a result, and given that absorption of some vitamins encourages better absorption of other vitamins, smokers can be at a risk for decreased levels of these as well. Even if you take vitamin C from food, it will still be lost in the process of smoking. As a result, the body lacks this key chemical compound needed to maintain beautiful skin. Nicotine in tobacco is also said to cause the deterioration of blood flow as well as the increase of active oxygen, which “rusts” the body and boosts oxidation. It seems that mainstream smoke and secondhand smoke have also been found to adversely affect the skin. Skin damage appears due to the bad influence of smoking as mentioned above. One of the most common appearance changes is in the form of wrinkles. Smokers’ skin often to appear older due to the more pronounced presence of wrinkles. In particular for women, wrinkles present an issue because it can cause the appearance to look several years – or even a decade in some cases – older than the actual age. It is also known that the skin of smokers tends to darken. This is also caused by tobacco tar in smoke as well as the compounding effect of vitamin C deficiency. Some women may think that because they use cosmetics to help “heal” the skin, it’s not so much of a problem, however concealing tobacco skin with makeup will only go so far. The spread of pimples and blackheads are also an example of adverse effects due to smoking. If you care about your skin’s future, you should really choose to quit smoking. Even if you are a relatively conservative (light) smoker, many of the adverse effects described above will nevertheless appear, though onset may be delayed somewhat. We still think it’s a brilliant idea for your health overall to consider quitting smoking. 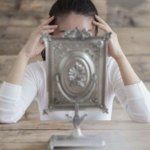 When you do quit, your skin’s beauty won’t return overnight, however you will likely start seeing results in the mirror in as little as around 2 weeks. As blood flow begins to return and vitamin levels readjust and normalize, you’ll start noticing that your skin has a changed texture with fewer wrinkles and spotting. Connecting these small changes to motivation is also a secret to smoking cessation. It’s a good idea to set a goal of quitting for two weeks for your skin! Although there are some people who are indifferent to their appearance, I think that most people care somewhat about their presentation to others. Every time you smoke over the years, your skin will gradually erode and bear witness to smoking’s toxic effects. If you decide today to start quitting smoking and take steps to take better care of your body and skin, you’ll feel the positive effects of your decision for the rest of your life. Tobacco contains a harmful substance called nicotine, but did you know that nicotine’s dependency is higher than heroin? It has been said that the strength of withdrawal symptoms of nicotine can exceed those for cocaine. Many would-be quitters point to this single thing as an intimidating obstacle preventing them from smoking. Also, because the act of smoking a cigarette itself is made into a habit, there are times when you feel uncomfortable if you do not have it at hand. 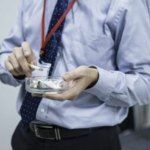 In this article, we will introduce a method to overcome the two dependencies – nicotine dependence, which frustrates smoking cessation, and psychological dependence on the act of smoking. Some smokers have withdrawal symptoms due to nicotine dependence called “nicotine run out.” Simply put, over time the body becomes dependent on nicotine. If a smoker doesn’t get their nicotine fix within a certain period of time, they will often experience symptoms such as a strong desire to smoke, in addition to irritability, inability to concentrate or focus, and sleep disturbance. 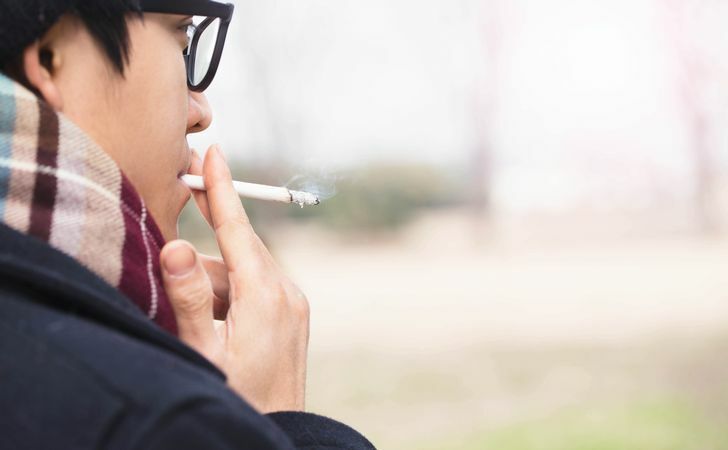 When people with a strong nicotine dependence start quitting smoking, they may feel impatient, feel uneasy, and in extreme cases may even experience suicidal thoughts or fall into a state of mental instability. In general, withdrawal symptoms develop strongly during the initial period, but in many cases will calm down with time as the body copes with a lack of nicotine. For nicotine dependence, the older the age at which a smoker starts smoking, the higher the risk. One of the factors that causes nicotine addiction is by continuously smoking tobacco, nicotine receptors in the brain are increased. Due to this, dopamine – a chemical which produces the sensation of pleasure – is given off when nicotine is taken in. As a result, since people feel “comfortable” when dopamine comes out during smoking, smoking itself becomes a closed-loop cycle. What is psychological dependence on smoking? Psychological dependence on smoking means that the behavior surrounding smoking has formed into a habit. This includes everything from the perceived need to have something between your fingers or in your mouth, to thoughts such as wanting to finish lunch quickly in order to have a longer smoke break at work. Smoking is said (usually by smokers) to relieve stress and promote a sense of relaxation, but withdrawal symptoms of tobacco are caused by smoking in the first place. 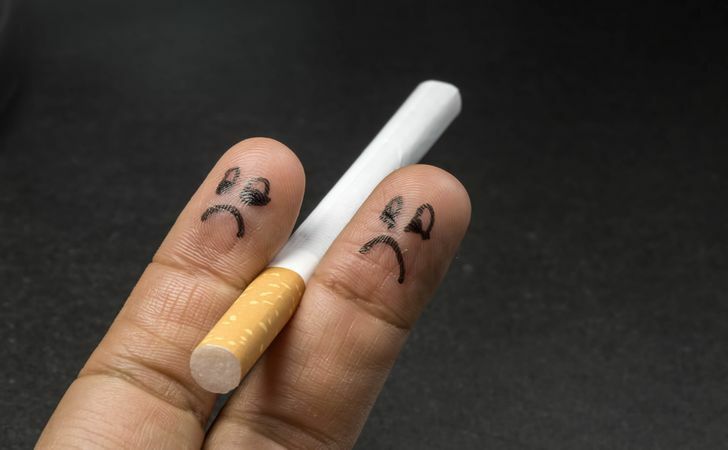 Since tobacco itself does not have a relaxing effect, unpleasant withdrawal symptoms are gradually lost during the process of continuing smoking cessation. Both psychological dependence and nicotine dependence can be said to be close to drug dependence. 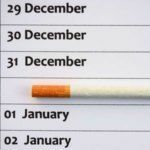 As a result, there are many people who continue smoking for some time regardless of the negative health effects and awareness of smoking’s dangers, due to a perception that withdrawal or changing habits might be even worse. Now there are a wide variety of methods and aids that can assist with quitting smoking. However, in order to eliminate the custom of cigarettes from everyday life it is important to decide clear goals beyond smoking cessation. Just vaguely saying, “I want to quit smoking,” alone doesn’t work. By clarifying specifically “why do you want to quit” or “what you want after you quit,” it can be easier to maintain your motivation in quitting smoking. 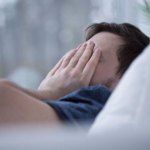 Bear in mind that withdrawal symptoms can be particularly painful at the beginning, but for most people these last only around 14 days. 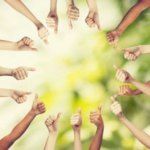 Joining others who are also thinking of smoking cessation and quitting together can also help boost motivation, and behavior modification programs designed for smokers (many of which are freely available) can help people quit and stay quit. There are individual differences in the degree of dependence, but those who have the experience of being restless without a cigarette may already depend on tobacco. Human beings can live without cigarettes. However, if you are in a dependent state, life without tobacco will initially be stressful. Stress may become priming, which can lead to failure to quit smoking. In order to quit smoking, it is effective not only to set clear targets but also to consider small targets linked to daily lives. Incidentally, this is true with Rien Pipe as well. Although Rien Pipe has been designed to gradually decrease nicotine intake, which may result in experiencing many fewer (if any) withdrawal symptoms, it addresses the physical dependency on nicotine. Taking steps to really change your routine and lifestyle and embrace being an ex-smoker is equally important. Imagine the “you” after you quit smoking and start taking concrete steps to invite them into your life today. Smokers themselves may not be fully aware of it, but their clothes as well as those of their family members/roommates likely have a strong smoke smell stuck to them. Tobacco odor can be particularly obnoxious for non-smokers and when attached to clothes it can follow people around without their being conscious of it. Getting rid of impacted cigarette smell can be a struggle, however this time we will list three simple ways to remove (or at least drastically reduce) the impact of smokey smells on clothes. Generally, smells are comprised of a soup of many different chemicals. Even if one component can be eliminated, there is a possibility that another will continue to leech odor. Each of these scent components can also have different properties, which in turn can make it a challenge to completely deodorize an object, such as clothing or fabric, and it can take some time to get the odor out. Humidity is a key tool in removing odor, as scent molecules will tend to latch on to water molecules. A simple tactic is to place clothes laced with tobacco odor in a bathroom with high humidity (e.g. just after showering). Moisture will cover the fabric surface. As it evaporates, many of the various cigarette odor components will be wicked away as well. You can also spray a mist of water on clothes (e.g. shirt, jeans) and dry them outside in the sun. This will have a similar result. 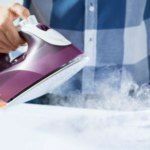 With the same principle, you can spray iron steam on your clothes. In this case, be sure that if you steam clothes clean, that you also use a fan to allow air circulation so that odor molecules don’t land back on clothes. Sometimes using moisture may not be enough. Activated charcoal is a simple, low-cost way of deodorizing objects. There are countless small holes in the activated charcoal. These pores allow charcoal to absorb many of the odors that cling even to the fine fibers of clothes. By placing clothes in a plastic bag overnight together with activated charcoal, tobacco odor components can be removed. Also, keep in mind that certain products, such as leather and suede, are sensitive to moisture and drying. Leather goods can not be recommended for humid areas because it will cause bruising when using moisture or steaming. 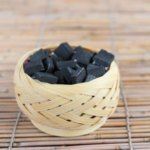 Activated charcoal should not, however, present a problem. For leather goods with particularly heavy tobacco smells, it is better to use a leather cleaner suitable for leather goods – or have them cleaned by a professional. 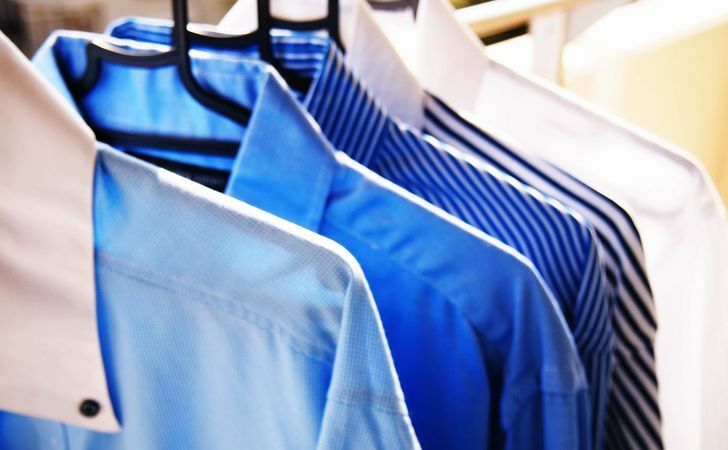 One of the best ways to eliminate cigarette smell is to wash clothes as soon as you think that they smell. Select garments, such as coats, may best be cleaned by professionals who are adept at removing odors. Keeping less-worn items in airtight garment bags can be a good way of minimizing odor as well. Bear in mind that the smell of cigarettes means that harmful substances contained in tobacco smoke are also adhering to clothes. Among these, tar is a sticky ingredient, and it can not be removed easily if it adheres. Left untouched, it will cause deterioration of clothes as well, so washing clothes soon and regularly is important not just for odor control, but for preservation of clothes, too. Cigarette odor easily attaches itself to clothing and fabrics. In order to stop smelling like a smoker, finding ways to regularly remove smoke odor from clothing is important. This can be done in several ways, and not just through washing. Have you encountered any additional effective ways to remove cigarette odor from clothes? Please share them below.